Stakeholders began a meeting here Thursday to propose ways of mobilizing finance for a project to protect and restore forests across the globe. The project, which seeks to restore 100 million hectares of forest cover in Africa alone, requires over 160 million U.S. dollars annually. In his keynote address at the meeting dubbed “Forests for the Future: New Forests for Africa” , Kofi Annan, former UN Secretary General, lamented the depletion of forests across the globe. “From the Amazon to Indonesia, forests that have taken centuries to grow are destroyed in only a few months to serve the international demand for palm oil, soybeans or timber. Some of the world’s most precious ecosystems, such as the Virunga National Park in the Congo Basin, are threatened by oil, gas and mineral exploration and exploitation,” Annan observed. Despite all the invaluable ecological, economic and social benefits, Annan lamented that “we are destroying the very forests and ecosystems vital for sustainable living on our planet”. Approximately 130 million hectares of forest, an area almost equivalent in size to South Africa, have been lost since 1990, according to records. Forest protection and conservation, forest restoration and reforestation, and the transformation of energy systems are three critical areas the former Secretary General said action must be taken urgently, and where Africa could play a leading role in support of global efforts. He said Africa’s leadership on reforestation had to go hand-in-hand with a massive transformation of its energy systems, adding that two out of three Africans, over 600 million people, had no access to electricity. “Cut off from the grid, rural populations across the continent often have no other choice than chopping trees to make charcoal for cooking. This is not just driving deforestation and climate change, but also putting people’s health at risk,” he argued. Samuel Afari Dartey, CEO of the Forestry Commission of Ghana, said Ghana was to “leave future generations and their communities with richer, better more valuable forest and wildlife endowments than we inherited’. 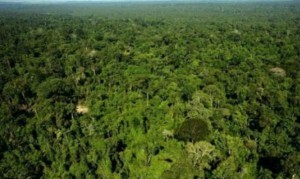 “The country is making strenuous efforts at significantly reducing deforestation and forest degradation through a number of development projects to restore our lost forest cover by employing strategies that create green jobs and boost food production in the rural areas of Ghana,” he stated.